A lot of people ask me why I chose It Ain’t Hemingway for a blog title. My first intent for this blog was for it to be a place to share my stories, articles, and other musings. All I found myself writing about was music so that is the direction this blog took me and now I’m merely just the curator. I won’t go into the depths of trying to discover new bands nor am I trying to be the “it” blog for alternative music. I just want to post good music and share it with my readers. I often find the things I post from other sites and I will re-blog. As I said, I’m not claiming to be an original on here, just spreading the word about good music. I get introduced to a lot of music through my local college/public station; WXPN in Philadelphia and when I hear a song that makes my ears perk up I have to check them out. There is a ton of great music blogs out there and I also get a lot of great suggestions from following some of my favorite bands on Twitter and Facebook. I also write for a few online sites on the topics of local events, music, and social media. I have a national page for “Female Indie/Alt Musicians”. I cover all aspects of artists in the industry and the artists who inspire them. I’ve interviewed a few musicians for both Examiner and Yahoo, including Blitzen Trapper, Coco Rosie, La Sera, and hopefully more to come. I write for other sites as well, but these are the sites that pertain mostly to things that relate to my blog and things I want to share with my readers. If you have any questions, inquiries, suggestions, concerns, complaints, feel free to contact me: I’ll do my best to contact you. Feel free to send your music. No promises on whether I’ll post it though. Sorry. I am an artist by trade and that career has gone through many incarnations as well. I do mostly package design which includes graphics, structure, product design for cosmetics, toys, electronics, home products and more. I do some photography as well. It is really just a hobby, but I’ve had a lot of success selling some of my work through Art.com/artistrising.com. 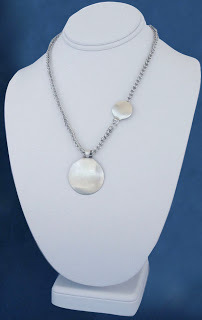 I am also a jewelry designer which includes beading, fabrication, stone setting, lost wax casting, chain-making, etc, etc, etc… I work in silver, gold, and platinum. All my work is custom design, engagement rings, wedding bands, fine jewelry precious stones, diamonds, granulation, and filigree, plus modern design.